I remember when I got my first dog. I mean, I had dogs growing up, but Koby was MY first dog. I got him when I was in college, and he completely turned my world upside down. 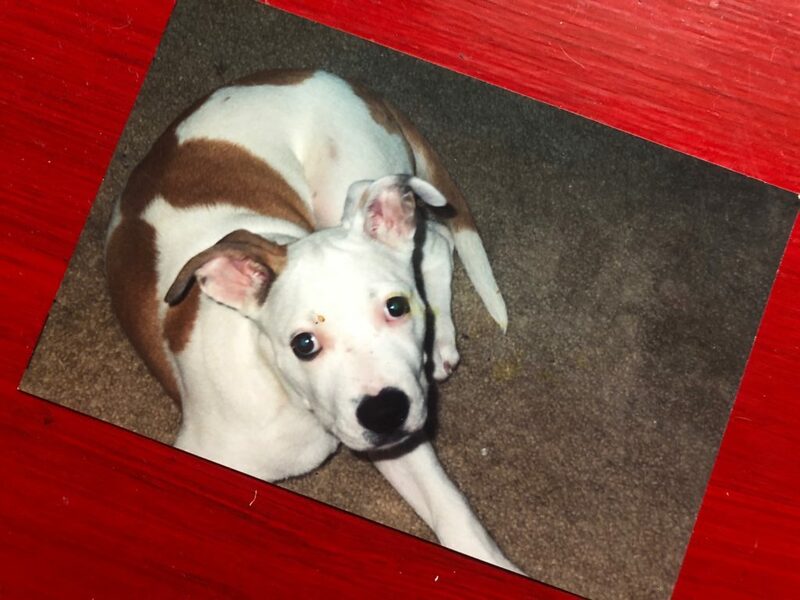 A rescue with a semi-known background, my cute roly-poly dog was reactive with other dogs and displayed aggression towards people he didn’t know. And needless to say, for a total rainbows-and-butterflies-love-is-all-you-need-to-save-the-world kinda girl, while I loved him to death, Koby was a challenge. One of the things that I distinctly remember about my daily life with Koby was my attitude towards exercise. And let me tell you, those instructions were burned into my head. Here’s the thing. There are so many misconceptions floating around when it comes to dog ownership. And a lot of them are keeping well-intentioned dog owners who perhaps are struggling with things like reactivity in a perpetual loop of bad behavior. An owner has a reactive dog. They walk him daily as instructed. He has bouts of reactivity on EVERY walk. The owner and the dog are always left feeling defeated. How did that walk help anyone? Now, if you have a dog with reactivity, this isn’t a free pass to totally stop exercising your dog. As your dog’s owner, it’s critical that you provide them with plenty of physical and mental stimulation. That said, there are many activities that are far more productive for dogs suffering from reactivity. You’ve just got to get creative. Nosework – One of the most beneficial activities for dogs suffering from reactivity is to teach them to use their noses. Sniffing is primal, and it helps calm dogs that might be a little stressed out. And the best part – you don’t have to go to a formal group class to do it. There are plenty of nosework games you can play at home (just google “nosework games for dogs” and you’ll find loads of resources). They are super simple, super fun, and they’ll activate a part of your dog’s brain that needs a little TLC. Hiking – If it’s possible to get yourself and your dog into nature, do it. Hiking trails provide a different experience for our dogs. One where they have to engage with and pay attention to their environment. They have to navigate where they put their feet, deal with different terrains and they have opportunities to let their noses run wild. This is an awesome way for reactive dogs to de-stress. It’s not the same old boring pavement, where the only thing to do is focus on the many triggers that are constantly whizzing by. Just make sure you allow them to engage with the environment to get the most benefit. (Keep your dog leashed for safety when exploring nature). Swimming – If your dog likes to swim, this can be an amazing outlet for them. It works different muscles in the body than those exercised while walking or running. The experience of swimming is different than the things they experience daily, which gets the brain working, and it’s a great way for them to relieve stress quickly and safely. Just make sure before any swimming, you warm your dog up, and be sure not to overdo it. Here’s an article for water safety if you plan to swim your dog. And if you throw toys for your dog to fetch in the water, try working in some control or brain work between reps for maximum benefit. The treadmill – While I don’t like treadmills for pure physical exhaustion, if you don’t have access to hiking trails or a pool/lake/the ocean, a treadmill can help. But rather than running your dog ragged, set the speed mind-numbingly slow and teach your dog to walk for an extended period. This is a great way to get them to de-stress and tone it down while giving them an outlet for physical exercise. Couple this with some fun nosework games around the yard, and you’ll have a fulfilled dog in no time. Ball play – I’m not telling you to ditch your dog’s favorite ball for good. But I am telling you that using ball play as a way to exercise your dog isn’t going to do you any favors. Not only can it promote a bit of obsessiveness, but it can also cause injury if you aren’t careful (I’ve seen many a ball crazy dog tear their cruciate ligament playing fetch). If you want to play ball with your dog, mix it up. Don’t throw the ball 20 times in a row to totally exhaust your dog. Instead, make them do something – lay down for example. Toss the ball and release them to get it. Break up ball play sessions with training, self-control exercises, tug play or personal play so that the dog has to engage their brain and so that the behavior doesn’t become completely impulsive. Walks – Walking in your neighborhood, and battling reactivity is going to make matters worse. If you live somewhere that doesn’t afford you the ability to walk without bumping into the things that trigger your dog’s outbursts, it’s time to find a new place to exercise. Every time your dog has a reactive response, it pushes the needle backward a bit on your progress. So it’s important that you find outlets for your dog where they can be successful as you work to overcome your struggles with reactivity. The Dog Park – If you have a dog with reactivity that only pops up when your dog is on lead, but they LOVE other dogs when off lead, and you think taking them to the park for a little knock-down-drag-out wrestle mania with their buddies is a great way to tire them out, think again. A LOT of reactivity stems from simple over-excitement. And if your dog’s only source of exercise is rough and tumble play with others, their excitement when they see their friends is only going to grow. Not to mention, there are many more productive and safer outlets for your dog’s energy. Listen, exhausting your dog isn’t going to change anything for you. It might lessen the reactivity when your dog is tired, but it’s not going to magically translate to the times when they are full of energy. And tiring them out with games and play that can lead to obsessive behaviors or overexcitement around other dogs isn’t going to help either. Instead, get productive with your exercise options. Let your dog use their nose. Work training, thoughtfulness, and self-control into your daily routine and into your dog’s exercise and play sessions. And quit beating yourself up for not taking your dog for a walk. Because sometimes that walk can do more harm than good. Note: You know your dog best. Be sure to choose activities you feel are safe and take all necessary precautions when managing things like reactivity. 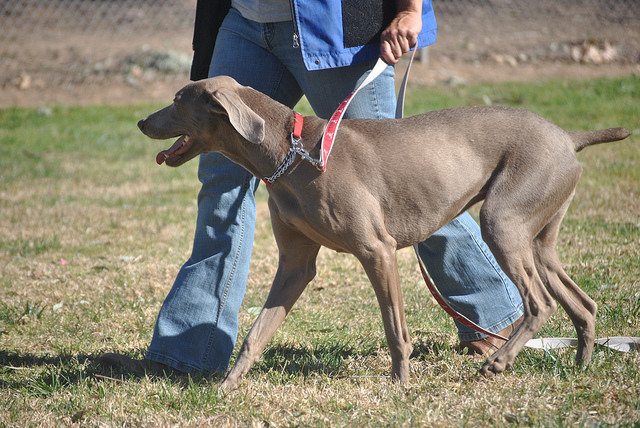 Always observe leash laws and if you feel your dog is aggressive in the least, or poses a risk to other dogs or people, always keep them leashed and at a safe distance away. 42 replies to "Don’t Walk the Dog: Why walking your reactive dog might be making things worse"
Before recommending off leash hiking in public places, maybe we should be on the same page as to just what “reactive” means. If I’m out hiking with some of my dogs, and I come across a reactive dog off leash, what should I expect? On the surface, that doesn’t sound good to me – I only take my non-reactive and obedient dogs off leash in public. I have a super duper reactive dog, but I’m not sure he’s what you mean by reactive. He will lunge at me barking and snarling if I do things he finds unusual or frightening, for example opening a jar or juicing a lemon. he also turned on a packmate because the hot water heater turned on and that made a sudden sound. He has pretty severe issues with resource guarding but also general fearfulness (like the jar lids or lemons). the idea that I would leash him up and take him for a walk in town… well, we’re years away from considering that. I’d like to just get through a day without being barked at for activities of daily living. I think of him as reactive, but I’m not sure that’s what you mean. I have two reactive dogs (reactive to stranger dogs), and while we do still walk them, I’ve arrived on the same conclusion about walks from the same initial assumptions as you. I also in hindsight would have never taken my dogs to the local (fully fenced) dog parks, where we took our dogs when we first moved here to “keep them socialised”. That was of course before they became reactive, and I think some of the experiences they had their (with rude, pushy, poorly supervised dogs) contributed to the development of reactivity. My neighbourhood and the wider area around here is suburban, with nearby rural & bush regions. The neighbourhood itself is very dog-reactive, with plenty of barrier aggression. We don’t meet other dogs being walked on most walks, and our dogs have learned to pass by the known barrier aggression “hot spots” without outbursts, but they do tense up. I walk the dogs one at the time, and they are only walked together when my husband and I walk them together. Their responses/reactivity has improved over time, and so has our handling. We avoid outbursts when we do encounter other dogs, by keeping enough distance (doesn’t work if the approaching dog is off leash tho’…), and distracting/redirecting with treats (doesn’t work if the stranger dog comes too close, or behave frantically aggressively). I am glad to see I’m not the only one who has a dog that barks at everyday things. Papers being tapped on a table, childrens voices, chopping vegatables…the list is long. Hi Meagan, I appreciated this post a lot. I have been trying to figure out whether what I am doing for my friends dogs is right. My friend was diagnosed with cancer 5 months ago, chemo, radiation and surgery. She now needs a stem cell transplant. She has 2 rescue GSD, 1 of them is a dog reactive, barking, lunging mess. I have been taking them for walks once or twice a week for the last 5 months. Most of the time I am the only 1 taking them out. I have a short couple of blocks and then down a canyon, a half hr walk. Sometimes we do encounter another dog and it is a problem. I feel like these are their only outings. I got them on a treadmill and the one who isn’t reactive would run on it if someone would stay with her. The reactive one seems to be not able to learn it and I worked a lot many, many times without compulsion. I appreciate the other ideas and may try some nosework stuff with them. I’m a little out of my league with these dogs. I do a variety of sports with a good temperament Standard Poodle. Right, but what does a dog (1) actually do, specifically, that qualifies its behavior as reactive; (2) what triggers it’s reactive behavior; and (3) assuming most all dogs are reactive in some form or fashion, where is the the line crossed between acceptable reactive behaviors and unacceptable reactive behaviors? wow — you are not clued in to what reactivity is and how to deal with it. just don’t walk the dog? wow. unbelievable for an experienced and “official” trainer. It sounds like your answer is to avoid all situations that your dog can react to — is that even possible?? unless you keep him isolated? wow. Your ideas do not serve any of us. Thanks for your feedback. Looks like we simply have a difference of opinion and that’s the awesome thing about dog training. There are so many different ways to get to an end goal 🙂 In fact, I worked exclusively rehabilitating reactive dogs for many years so I’d consider myself well versed. And yes, I absolutely find that putting your dogs in situations where they are often reactive often does more harm than good. Especially if the handler doesn’t know how to deal with reactivity. I’d much rather they give their dog a more effective outlet for their physical and mental stimulation as they work to solve the problem. i worked my reactive dog with very experience trainers for 2 years. I did everything possible with no success. So reading this article it seems like that your approach sounds right. Having a dog react on a walk or situations just creates chaos in his head and it takes a long time to make him relax again. I just wish i would have read this sooner. The point of the article wasn’t “don’t walk the dog”. The point was “don’t walk the dog in places that cause it stress”. Spot on. Think of a situation that causes you a LOT of stress. Now imagine having to face it every day, multiple times a day. That’s what we do to our dogs when we take them on walks in places where triggers are at every turn. Stress hormones take approximately 72 hours to a normal level. Repeated exposure to a stressor results in a dog that can’t completely relax. That’s not healthy. So what do we do? Exactly what she said in the article. Find other ways to provide mental and physical outlet for the dog in ways that allow it to decompress. That’s a bit of a rude response. I have a reactive dog. Reactive on lead that is. I don’t take him on walks where I will meet other dogs, I don’t want him on the ceiling all the time. Each time I take him out his reactive levels rise, I take him home and they go down at bit. What happens then? I take him out again…up they go. I have done extensive training with him. Lots of different types. I have come across Megan’s method before Jan Fennell dog listener? I’m going to give it another shot I think. I do training in the garden before we go out, which helps to focus him on me, I think that’s the key. I’m no expert, but I can see the logic. What works for one doesn’t necessarily work for others. I keep an open mind and use the bits from any methods to see what works best for us. Please reread…she said try other forms of exercise besides the walk. Also she mentioned that tiring your dog on a walk won’t stop the reactivity. Dogs need mental, physical, and emotional stimulation to be well rounded. A well rounded dog will be less reactive. Point is you have to work with your dog! Hope this helps! I got my dog with the express purpose of a walking/hiking companion. I used to take him hiking with me to avoid other dogs but noticed that taking him out in nature just escalated his excitement and behavior got worse, especially if another dog was near. He is a screamer so that affects where we go as well. People stop and stare or gather to watch me and the dog. It feels unsafe to me! He is spinning/pulling and screaming to deal with his energy, I am trying to remain calm and either walk on or do obedience sit/downs and keep an eye on other people who are staring at us. I know they think I am hurting him but I am not! We actually just go home to avoid well intentioned helpers. You don’t know what it’s like until you have a dog like this! After 18 months, I can usually walk around the block. Not the grand hiking companion I envisioned but we meet the dog where he is. So sorry you are dealing with this. It can be so frustrating. I had a reactive dog myself and it was incredibly stressful so I definitely feel your pain. Love the article! Have 2 rescues that are totally opposite. One is shy, great on a walk. The other, is very dog reactive. He’s only 17lbs but acts like he is 100! He actually goes after the other when walking if another dog is near. Is there any way to break that behavior? We end up carrying him just to get past the situation. If your dog is reactive–however you define it–you know it when you see it. Why would you allow your dog to continue its reactive/bad behavior? Why would you let it practice unacceptable behavior. I think the author is suggesting ways to break that cycle of reactivity. Dog owners will have to experiment to short circuit their dogs’ bad habits. Thanks for a good read. just adopted a dog 2 weeks ago. I appreciate your thoughts here; not sure about how my dog compares, but I do notice that he does better when I take him to the nearby bush and trails, less people and dogs, than thru the neighborhood. He loves people, is curious about dogs, but have not socialized him as he is going thru his shots. He also still needs to be neutered, so I hope that calms him a bit. Walks with him are not as challenging as when we are home and he gets restless and wants attention; he will get in your personal space and mouth/nibble and go after our feet and hands. We give him an alternate toy, say NO, and if he persists, we walk away and ignore him (take away his playmate), then when he is calm, we praise him and give him attention. A game we tried yesterday, cuz it is so hot outside, was to have one person at top of stairs and one at the bottom, calling him, back and forth, getting him to sit sometimes, and rewarding with treats of praise. It seemed to wear him out enough! I think if you are a dog trainer, much impulse control can be built up with ball type training and having the dog have a job. My reactive dog is a lot less reactive, a lot more happy, more confident, and much more manageable. It hasn’t been fast or easy. I do go into distractions very slowly as far as increasing them now. My newest reactive dog is also from working lines and has a very high drive. We had a traumatic incident early on with her as a puppy. It sounds logical. I’ve tried all kinds of things to make walks nicer, without my dog going crazy when encountering other dogs, nothing helps. I don’t walk her that much anymore, since we have a backyard. Unfortunately she barks at the fence when someone walks or bikes by, or the trashtruck comes around … don’t know what to do about that. Same when the doorbell rings … it’s a mad House 🙁 … besides that she’s a great family dog. Hi – you’ve never addressed how to work on the reactivty. If my reactive dog comes across another dog on a hike, has that now ruined those trips? The problem with people taking bits and pieces of Cesar Millan’s philosophy is the exaggeration of that piece. He’s never run a dog ragged on a treadmill, and that piece is part of a larger exercise/discipline/affection program, discipline being the mental stimulation, rules, boundaries, and working on those reactivity issues through leadership and guidance. A means to an end goal, not just eluding the problem forever. Not every dog is willing to do tug work. She has an online course for the details about working on the reactivity. I just adopted a 1-2 year old Boxer mix male neutered dog reactive and separation anxiety. Hard to get focus. So used to using voice I feel frustrated. Gentle Leader helps and medication is slowly working. I have had him for a month. An ideas would be great. I have taught training for years but never a deaf dog. Great food for thought! Always looking for new ways to approach the subject. Thank you! 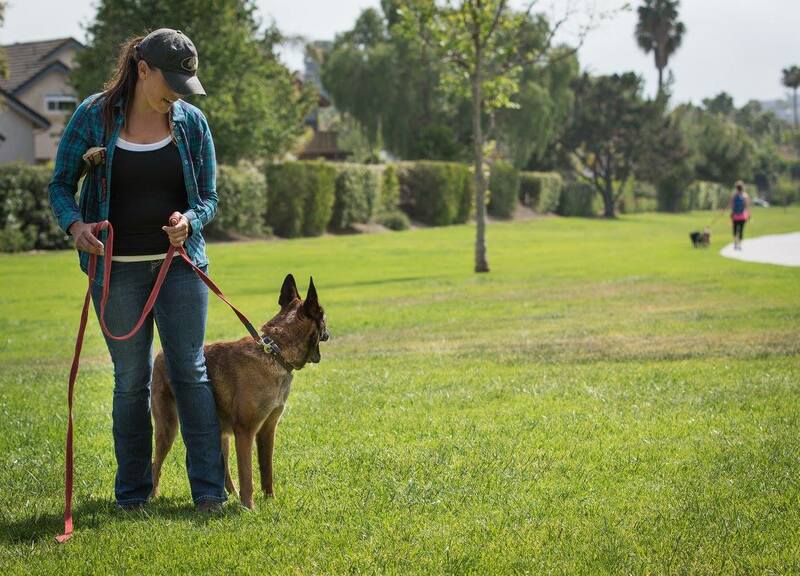 As a trainer who works with reactive dogs this post is nothing short of spot-on and amazing. I’m sharing it all over! Thank you Meagan! People don’t realize you have to work them under threshold and not in in the environment with triggers. We work up to that point, not avoid it for life! Thank you for your wonderful words. Keep on keepin’ on! I really look forward to taking this course. 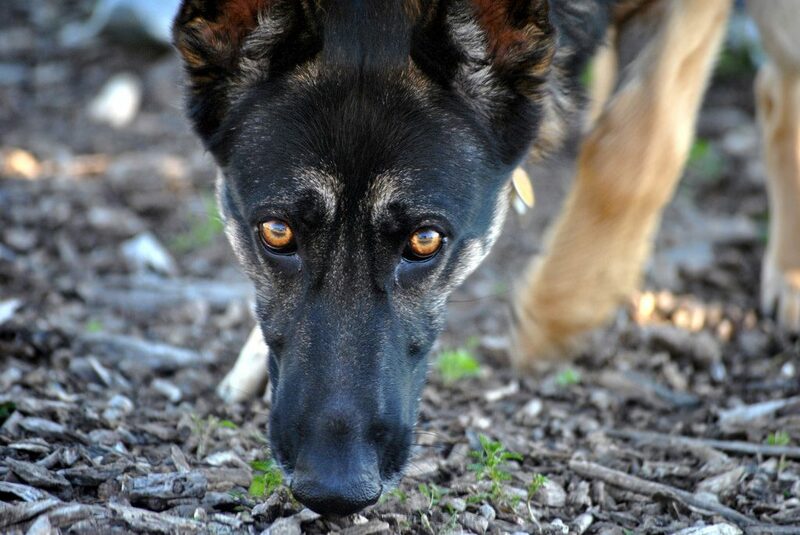 I have a 1.5 year old female GSD and we live in the suburbs. We don’t have a yard (live in an apt) and even the activity of taking her out potty has become next to impossible with her reactivity. I hope to find some tools to equip me better to help her work through her issues. I do take her 3x a week to doggy day care where she can play with other dogs, can this be actually doing a disservice to her? My 11 yo Bichon has always been non-reactive to almost everything., including thunder! When lease walking, if a squirrel, dog, or other animal is nearby, he never reacts., doesn’t even appear to notice. If it’s a dog sometimes he will wag his tail but that’s it. In our yard, off leash, he will chase the wild turkeys. As a side note, When he was a puppy, we were out walking on a pretty clear fall day when suddenly there was a huge clap of thunder. He looked at me and I smiled and exclaimed, in a sing-song voice, “Pretty!” After that Everytime I heard thunder I would repeat the same phrase and smile. He’s never been afraid of storms or thunder. Not sure if it’s a coincidence, but I love storms too. I have a dog that is reactive to noises like trash trucks. Loves other dogs. Does your article work for this type of reactivity? …my guilt runneth over! I have never had a reactive dog and have been working with a trainer to “settle Daisy down”. Reading the comments, Daisy Duke is so much less reactive than she could be. She has never been aggressive toward people and is not aggressive with all dogs. I understood what you were saying and I agree with you totally. I haven’t heard of you before but I shall be keeping a look out. My 8 yr old dog has become reactive when off lead, particularly with labradoodles and some other scruffy dogs. I tried muzzling her but she still confronted dogs so now we have no off lead walks. I went to some training classes with Ingrid and she is learning to ignore other dogs when on a lead, successfully. If an off lead dog comes up to her when she is on a lead in an on lead area and the owner does not call their dog off, I have to let mine go so I don,t get pulled over. It has been suggested that I carry a water spray bottle with me. Thank you for this. I do scentwork most days in the garden with my girls. My reactive girl can be a nightmare. I find tbe best times to walk are early morning or very late at night and I try to avoid day walks. She has a lot of energy and I am constantly trying to occupy her in some way with training/treats/games. You are completely right about walks. I try my best to make sure she does not react om her walk through distraction and avoidance and being very calm. If she doesn’t react the entire walk I know my hard work had paid off and she will actually be calmer that day. We have a day off walking every week where we do lots of mind games and some playing in the garden. My first dog is mildly reactive but my real reactive is such a challenge. It is so stressful however she had taught me so much and I love her.